A deadly house explosion in her neighborhood lures investigator TJ Peacock to the site of the fire where she meets Gemma, a woman tortured by the death of a friend who died in the explosion. Gemma, struggling with the ghosts of her past, is convinced the explosion was deliberate, and hires TJ to find out who murdered her friend. TJ takes the case and returns to the work she loves, despite feeling guilty about the responsibilities of motherhood and the attitude of her long-time lover, Detective Richard Conlin. When a series of attacks and a murder take place in the same neighborhood, TJ unearths a bizarre connection to a sixteen-year-old double suicide of a couple who were partnered in a swingers’ group. A killer is trying to eliminate everyone who had been players in the group. The clock is ticking as TJ tries to unravel the mystery before more people are killed. TJ turned off her headlights and made the turn behind the Krause's car. Luckily, she didn't have to follow very far; the car turned in about a third of a mile later. She parked at the side of the road and watched as the car followed a long driveway that was flanked by mature pines. She drove in behind them after a minute with her lights still out and parked at a point just before the pines ended. As the car continued on, she saw a farmhouse in its headlight beams and, behind the house, a large barn. The car passed the house and drove around the barn. The car passed the house and drove around the barn, then entered a narrow, two-furrowed road. TJ left her car and ran for the barn, where she crept to the back corner of the building and watched the car's progress to a wooded area about two hundred yards behind the barn. The car stopped at the beginning of the woods. TJ had just darted behind a large bush when a figure stepped out carrying a flashlight. The silhouette revealed the figure was Lucian. At least she thought it was Lucian. It could be Drucilla wearing clothing that resembled her brother's usual attire, baggy jeans and a dark hooded jacket. TJ followed at a distance, confident she wouldn't be heard as the ground remained damp from the rain. The night was clear for a change, and the half moon offered enough light for her to maintain an even pace. She zipped up her jacket as the cool air engulfed her. What the hell was out here, and who owned the property? It didn't appear to be an operational farm. Were the trees cover for a marijuana crop? Once she had followed the dark figure through a few yards of thick woods, the path entered a large clearing. TJ's eyes, now accustomed to the dark, took in a macabre spectacle. A narrow cleared area about two city blocks long and maybe a hundred yards wide was surrounded by tall pines. In the center was a cemetery, its gravestones eerie apparitions in the moonlight. Trespass is the followup book to She's Not There by Marla Madison and is about TJ Peacock, a private investigator, and Lisa Rayburn, a therapist. I want to start by saying I did not read She's Not There first and I had no problem reading Trespass. Ms. Madison does a fine job of filling you in about the women's relationship and how they met, so you don't feel like you are missing anything. She's Not There and Trespass can both be stand alone novels, as the cases are not tied together in anyway beyond the characters. Now for the good stuff, I LOVED this book! I am a huge reader of mystery suspense thriller genre and I have to say I haven't been reading a lot of it lately because I can't find what I'm looking for in the genre anymore. Depth. I want a mystery that I don't have figured out on the first page and I have to walk through the whole book to figure out just how the whole thing came together. Trespass has done what most of those books can't and that was give me a convoluted story of deception, lies, secrets and twists from everyday people you would never suspect. TJ Peacock is a strong woman not afraid to put herself out there and find the truth, but has a vulnerability you don't always get to see with detective novels. She's a mother and she frequently has to weigh the importance of walking away from her son to get the truth, at the risk she never sees him again. In my opinion TJ was the lead character in this book as I found Lisa Rayburn rather boring and unnecessary other than as a way to help Gemma figure out what her issues were and how they tied to the case. Maybe Lisa is more important in She's Not There, but in Trespass she was just kind of...eh.. for me. TJ and Gemma stole the show in this one! All of the elements of a good suspense thriller are present in Trespass. The twists and turns were written in a way that make you feel like you are on that road in the cemetery with TJ as she discovers another hidden secret from years past. 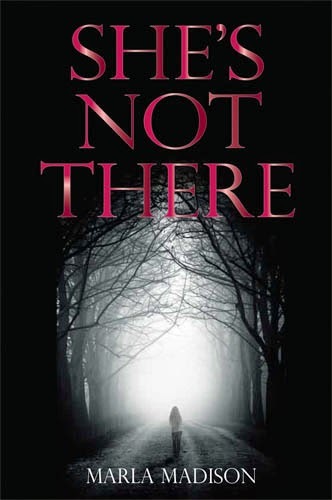 I will be starting She's Not There next because the author made enough references to it in Trespass I want to go find out what happened to the women! 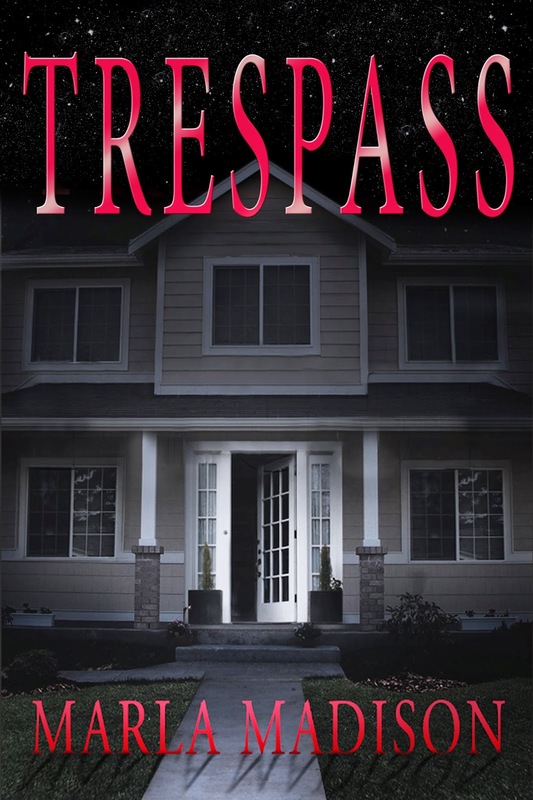 If you are looking for a great suspense novel Trespass is for you. 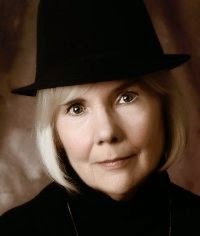 If you're looking for a great suspense author I highly recommend Marla Madison! Marla Madison works part-time doing arbitrations for the State of Iowa and the Federal Mediation Service. Working full-time as an author, Marla is busy penning her fourth novel of suspense. 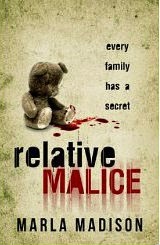 She’s Not There, Relative Malice, , and Trespass are now available on Amazon.com in eBook and print form. Marla lives on Prairie Lake in northwest Wisconsin with her significant other. Other family members are a dog and cat adopted from a local shelter.